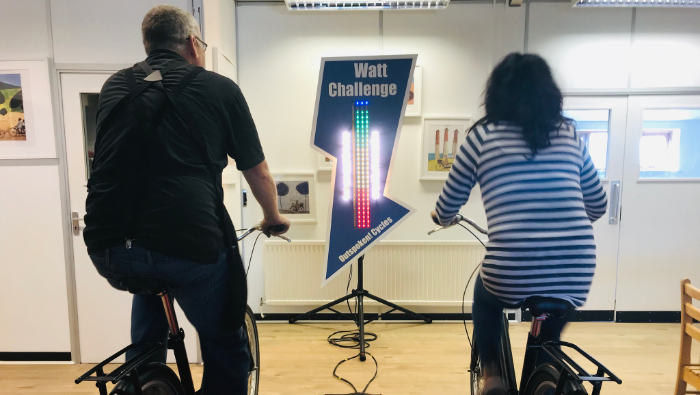 Watt challenge is a fun activity that utilises the power of bicycles to create electricity to power a our large lightening bolt light board. 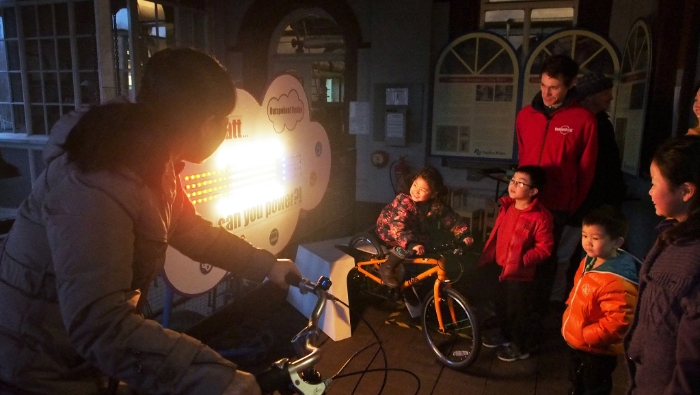 Participants cycle static bikes to produce electricity to power the light board. 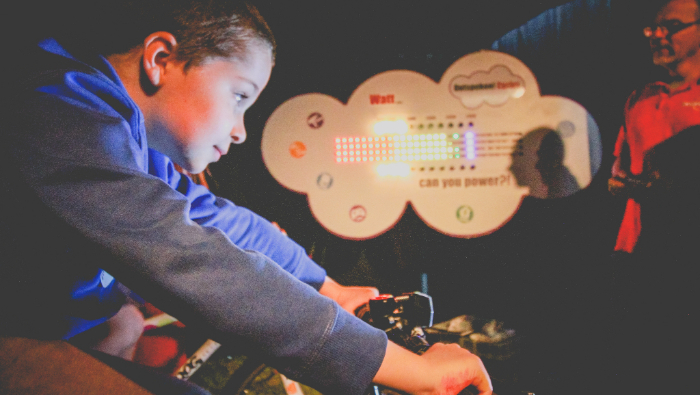 As more bulbs light, the resistance increases and participants have to work harder – working in pairs, the challenge is to see who can power the most and for how long! 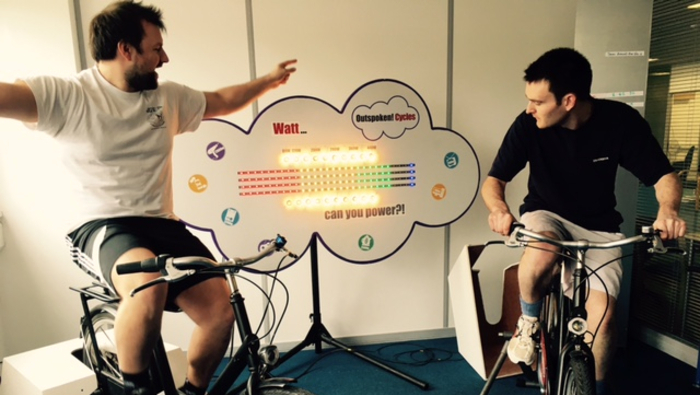 Watt Challenge is a great way of relating energy use in the home or office to a tangible (and very physical!) experience of how much relative human power is needed. A pedal powered toaster would be hard work! Custom Branding Option: We offer custom shapes and branding for our light boards.